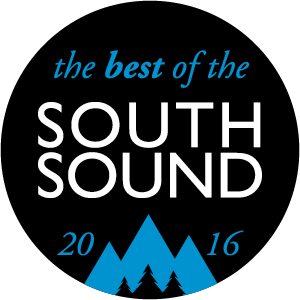 The South Sound Magazine poll of "The Best of the South Sound" was released in the May issue and Dr. Jason Stockton was again voted the Best Chiropractor in the South Sound by readers of the popular magazine. Congrats to Dr. Stockton and the entire staff at Tacoma Family Chiropractic for winning the "BEST" in the South Sound for the past ten years! Located in the heart of North Tacoma, the leading health professionals at Tacoma Family Chiropractic are dedicated to helping you achieve your wellness objectives -- combining skill and expertise that spans the entire chiropractic wellness spectrum. Dr. Jason Stockton was voted one of "America's Top Chiropractors" by theConsumer's Research Council of America and is committed to bringing you better health and a better way of life by teaching and practicing the true principles of chiropractic wellness care. Patients seeking treatment at Tacoma Family Chiropractic with Dr. Jason Stockton and Dr. Bethanne Baretich are assured of receiving only the finest quality care through the use of modern chiropractic equipment and technology. Our doctors and our staff have a genuine concern for your well-being! New to our website? Click here to view informational videos regarding the benefits of chiropractic care. Please feel free to discover and learn about chiropractic wellness by subscribing to our award winning newsletter. If you are already a newsletter subscriber, please explore the member wellness section of our website for wellness articles, resources, and health facts---specifically targeted by Dr. Jason Stockton to your wellness needs and interests. 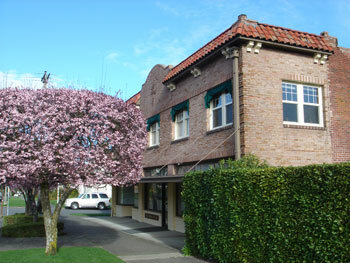 Dr. Jason Stockton has been providing premium health care since 1998 in his clinic in Tacoma, Washington. As a Chiropractor with 18 years of experience, he is committed to promoting the health and well-being of all his patients. "All staff members are awesome and amazing. So helpful, compassionate and explained to me every plan of action in my healing process. I will recommend to all my friends and family."